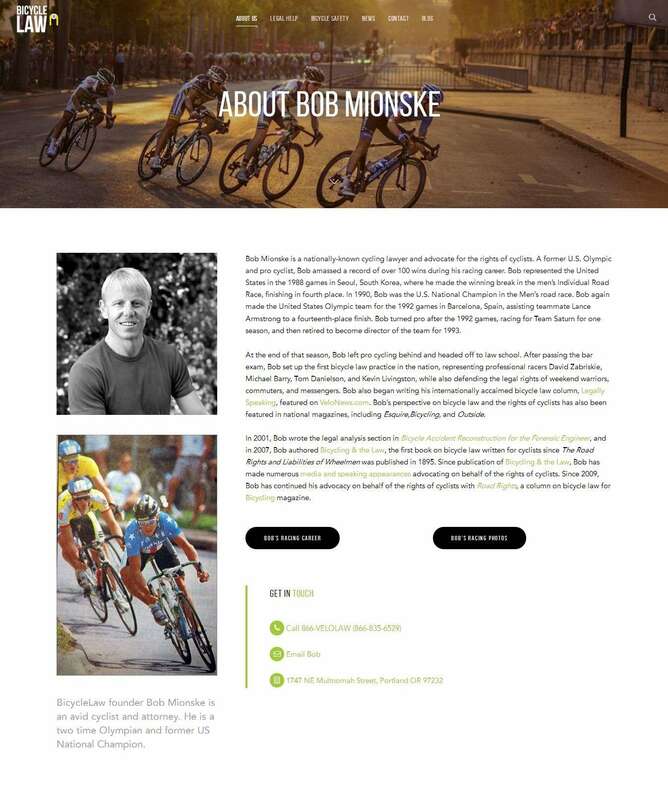 Bicycle Law was founded by Bob Mionske, a former Olympian and professional cyclist who became an attorney and an advocate for the rights of cyclists. 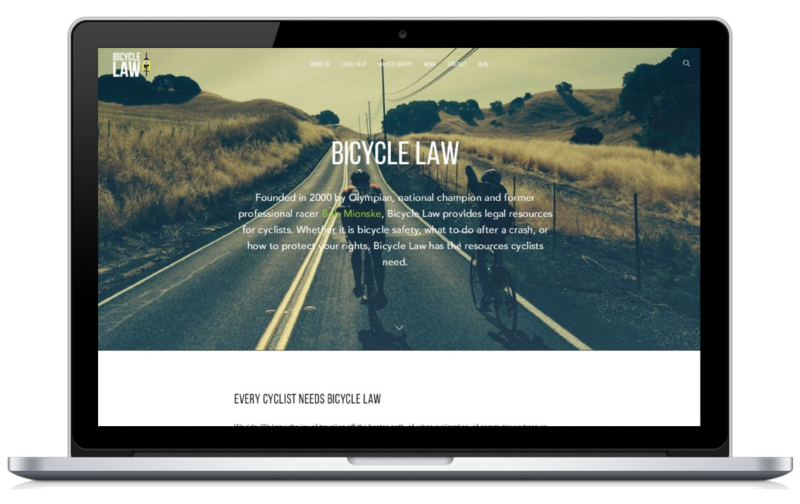 Bob wrote the definitive book on the legal rights of cyclists, “Bicycling & the Law”. 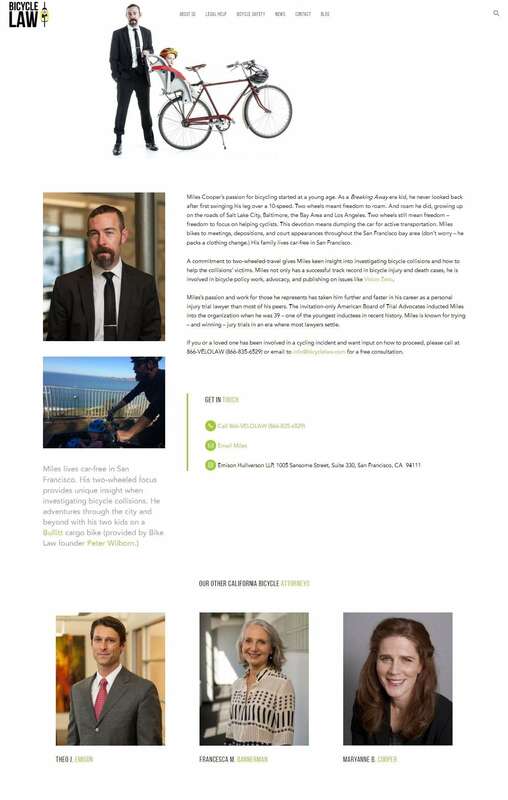 As his practice expands nationwide, and with the addition of attorneys from Emison Hullverson, the website was in need of a redesign. 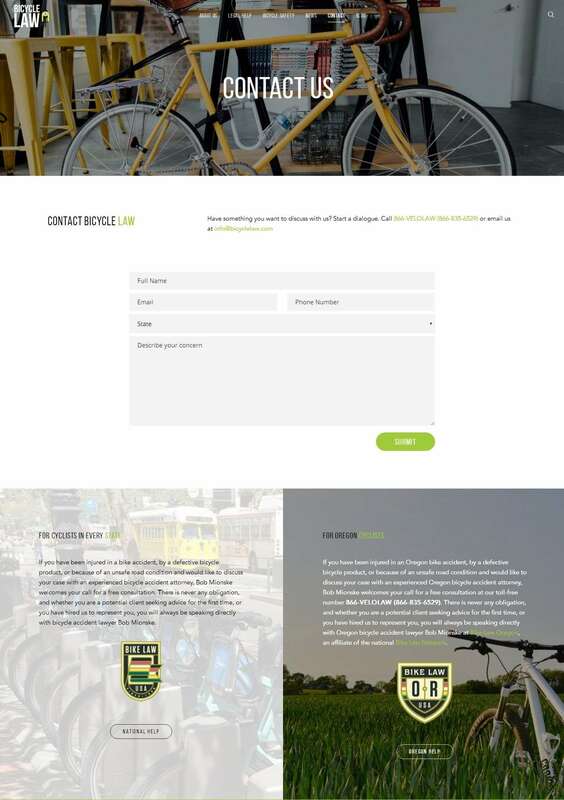 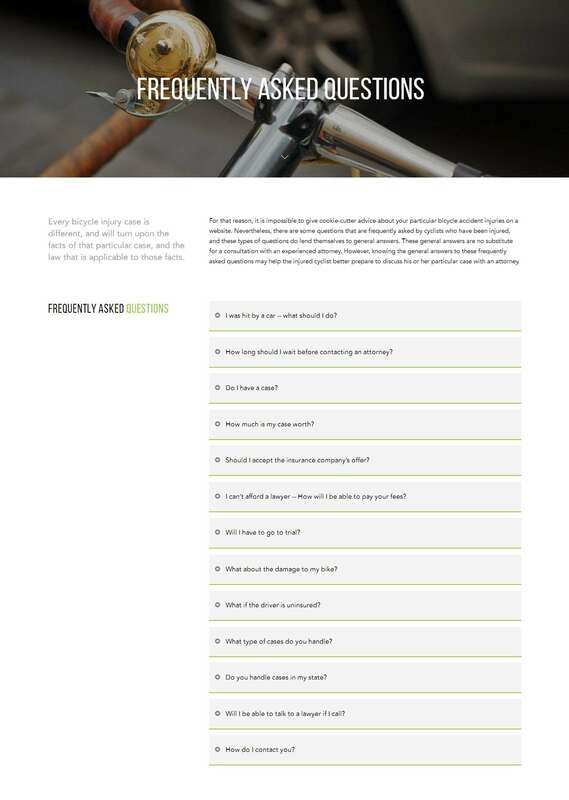 We used the firm’s new branding guidelines to create a distinctive look and an intuitive user experience to integrate the vast amount of articles and resources of the website.